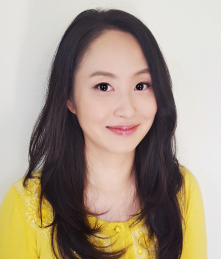 InStyle Dental is pleased to announce the addition of Dr. Chrissy Park to their dental team. Dr. Park will be in the office on Wednesdays and Saturdays. InStyle is a dentist’s office dedicated to making every one of their patients as comfortable as possible during dental procedures. More information regarding InStyle can be found at https://instyledental.com/family-dentistry/childrens-dentist/. Dr. KeunHee Chrissy Park, known to her patients as Dr. Chrissy, is a pediatric dentist specializing in providing dental care to infants, young children, and special needs patients. Accordingly, she has a reputation for making the entire experience of going to the dentist a positive and fun one for children. She received her Bachelor’s and Master’s degrees from Stanford University and also taught at the Stanford Bing Nursery School for four years—where her experiences led to the development of her pediatric philosophy. Her nurturing and integrative approach is known to help children feel comfortable, as if they are a part of ensuring their own well-being. Dr. Park received a Doctor of Dental Surgery degree from New York University, where she also won multiple awards for her dental research, including the Michael C. Alfano Omicron Kappa Upsilon Research Award and the American Association for Dental Research Fellowship. After dental school, Dr. Park completed a general practice residency program at Jacobi Medical Center, a level 1 trauma center and the only pediatric trauma center in The Bronx, NY. She then pursued specialty training in pediatric dentistry at the Mount Sinai Medical Center where she served as a Chief Resident. She also holds professional affiliations with the American Academy of Pediatric Dentistry, the California Society of Pediatric Dentistry, the American Dental Association, the California Dental Association, and the Academy of Laser Dentistry. Dr. Park, being a mother, understands the concerns parents may have about their children’s dental experience. Due to this, she encourages parents to join her in achieving excellent oral health and healthy smiles for her patients. InStyle Dental is known for providing a number of dental services and maintaining the highest standards while doing so. Sometimes people find themselves developing misaligned teeth. In addition to creating a beautiful smile, a set of perfectly aligned teeth make chewing, speaking, and swallowing a lot easier. To fix misaligned or irregularly spaced teeth, a condition known as malocclusion, InStyle offers orthodontics and tooth braces. InStyle states, “Thanks to today’s technological advances, patients now have many options when it comes to the types of braces used to correct malocclusion to create that perfect smile and promote overall health and well-being.” The dentistry recently celebrated their 7th anniversary, and more on this can be found here: https://www.pressadvantage.com/i_story/23484-top-san-gabriel-dentist-celebrates-7th-year-anniversary. Some people would rather not have metal braces in their mouths to fix crooked or crowded teeth, for which InStyle offers Invisalign as an alternative. Invisalign uses removable aligners known as clear braces. They are equally as effective without being as visible. The practice also offers tooth color fillings to repair damaged teeth or fix discoloration, dental bridges to replace one more lost or missing teeth, dental crowns or ‘caps’ used to cover the tip of a damaged or broken tooth, porcelain veneers which create natural looking alterations to teeth, and many other dental procedures to help patients achieve the best smile they can. For reliable dental services, get in contact with Carolina Rodriguez of InStyle today. Learn more at https://sangabrielca.instyledental.com/. Our goal to provide you with the utmost level of comfort while doing everything possible to give you excellent dental care.